A Jackson, Mich., man is accused of robbing two people and stealing property from two others in the River North area last Thursday and Friday, police said. 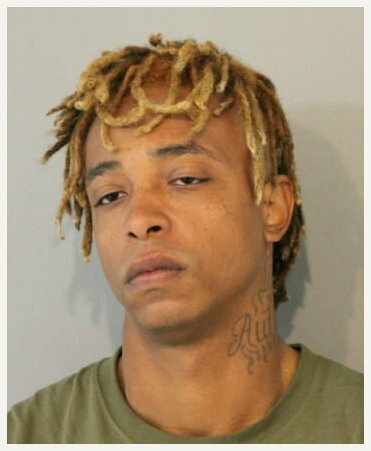 Jodeci Sherels, 26, was arrested on the first block of West Tooker Place, a small street near Washington Square Park on Friday evening. He has been ordered held without bail. At least two of the alleged crimes were reported in the minutes leading up to Sherel’s arrest. Around 6:40 p.m. on Friday, a man flagged down a police patrol car in the 700 block of North State to report that a man with orange hair had just stolen his cellular phone. Then, at 7:10 p.m., a victim reported that a similarly-described man ran up on them and took their phone in front of a hotel near LaSalle and Grand. Finally, at 7:20 p.m., several witnesses reported a woman chasing after a man near Dearborn and Delaware after he allegedly tried to rob her in a parking garage near Dearborn and Chicago. An off-duty police officer began chasing Sherels and detained him for cops at the Tooker location. The victims identified Sherels as the man who robbed them or stole their property, according to a police report. At least one other incident took place on Thursday, police said, but the details of that case were not released. Sherels is charged with two felony counts of robbery, one felony count of theft, and one misdemeanor count of theft of lost or mislaid property.